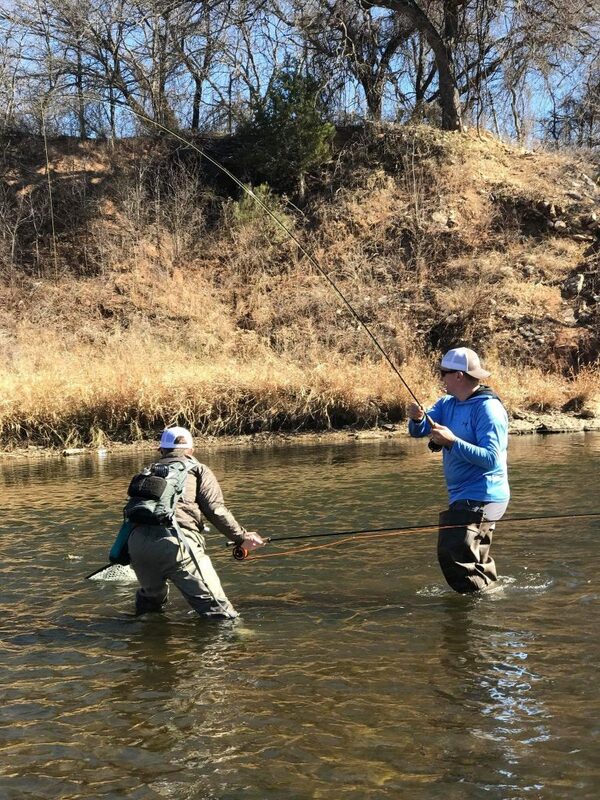 More than 60 members and non-members enjoyed a gorgeous day on the Brazos River during the club’s combined Fly Fish101/January outing on Saturday. And by the count of Kay and Les Jackson, close to half the attendees were women and young people, two groups that we’d love to see more of in the sport. The temperature topped 70 degrees, and while the trout weren’t always cooperative, action did seem to pick up after noon, at least in the pool just north of the Texas 16 bridge. Check out the photos below. 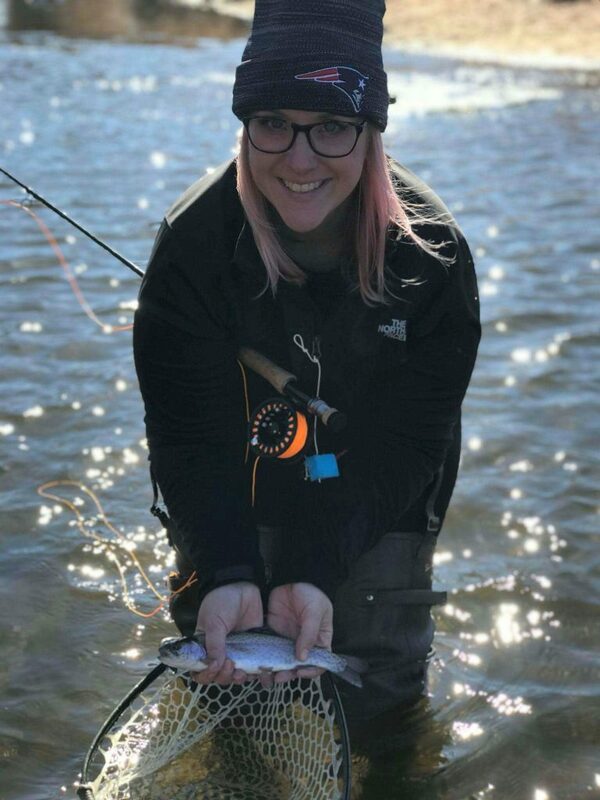 Top: Guest Christine landed her first trout on a fly rod! 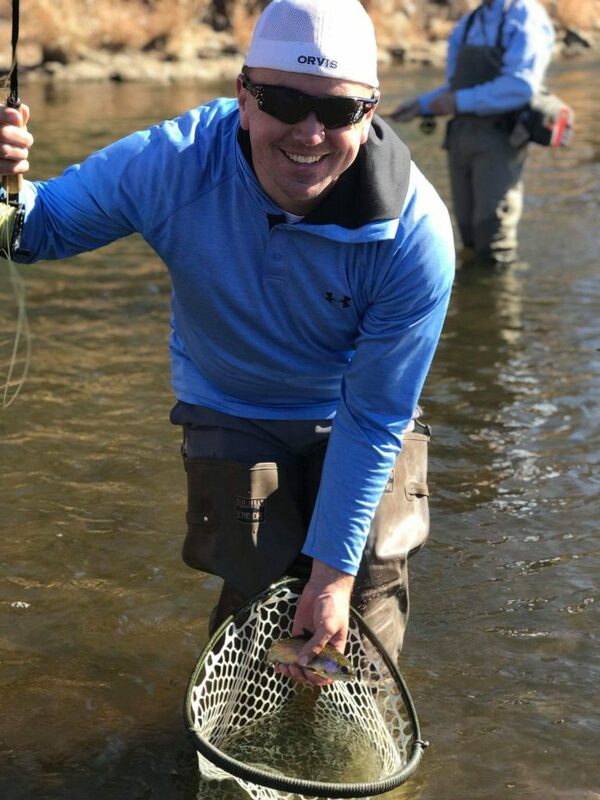 Above and right: Guest Christopher lands a rainbow under the guidance of member Adam Tate. 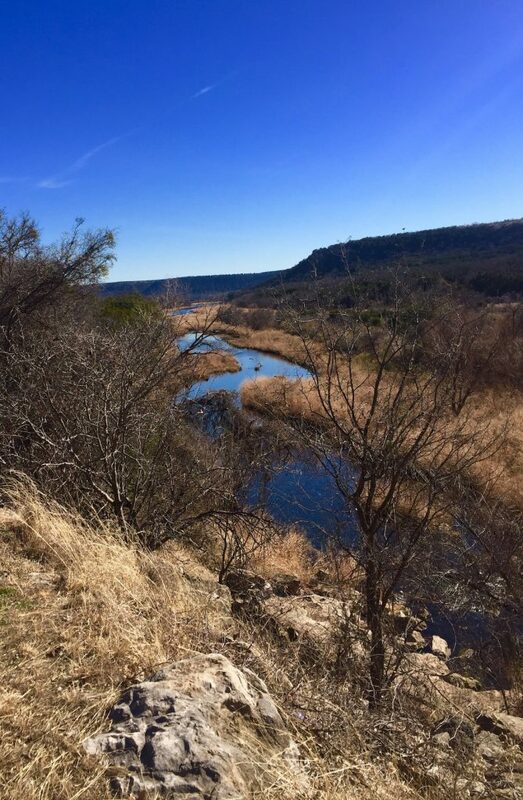 Below: Kay Jackson provided this nice shot of the Brazos on a perfect day.